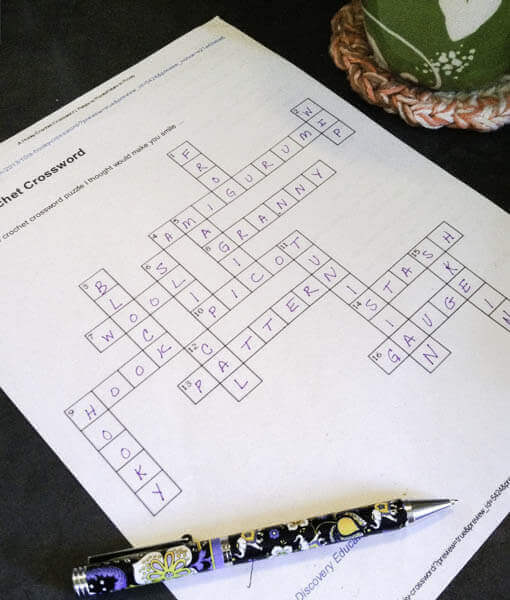 So did you enjoy our fun hooky crochet crossword puzzle? If you didn’t see it, you can download it from the post here. Now let’s see how many you got correct! Yeah! I got them all right…except one (the word “frog” completely eluded me. It was a fun game, Kara.